Home » Home buying » Real estate » Is Now The Right Time To Buy? To buy or to rent, that is the question. Whether ‘tis nobler in the mind to suffer the slings and arrows of outrageous rental prices or to take arms against the sea of the property market. Okay, so maybe Shakespeare and real estate investment aren’t a match made in Heaven, but if after years of renting, you have sufficient capital for a down payment then you face an age-old dilemma. Do you take the plunge and invest your money in buying your first property, or do you stick it out and carry on renting? Your parents may tell you that renting is ‘dead money’ this is something of a fallacy. Your shelter is a commodity, and it’s pretty much always a commodity worth paying for. While it’s hard to imagine property ever being an inherently bad investment, there are many reasons why it might not be right for you right now. Just because you can buy, doesn’t mean that you should. Many even prefer the stability of living in a rented apartment to navigating the whims of the property market. Rent may not be dead money, but if you feel you’re paying over the odds then your money might be better spent on securing a property of your own. Opening a dialog with your bank is the best way of gauging what you can afford to borrow and what your monthly repayments are likely to be. Bear in mind that you may be subject to fees and charges that have until now been borne by your landlord. Utility bills, ground rent and service charges will all be your responsibility. The lower the interest rates, the greater your equity. This means that a lower proportion of your monthly mortgage payment will go to the bank, meaning that you’ll pay off more of your mortgage. While interest rates always seem like low numbers, fractions of percentages can make a real difference when spread out over 30 years. Lower interest rates allow you to pay your mortgage off sooner, allowing you to focus more on saving for retirement and enjoying your disposable income. Besides interest rates, the size of your down payment is the most significant factor in what kind of mortgage you can afford. 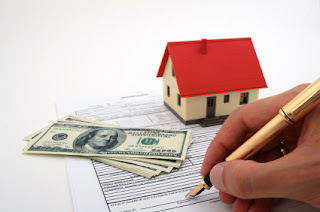 If you find yourself with a big chunk of money from an inheritance or a particularly good payday or just years of diligent saving, then this can have a huge impact on your monthly mortgage payments. This could lead to monthly payments that are significantly lower than your monthly rent. A large down payment may also afford you access to a more expensive property than you originally had in mind. Just remember that you need to factor in all of your monthly expenditure. The last thing you want is to commit to a property you can’t afford in the long term.